Welcome to GrassWorks! We're glad you're here. GrassWorks is a grassroots membership organization that provides leadership and education to farmers and consumers for the advancement of managed grass-based agriculture to benefit present and future generations. 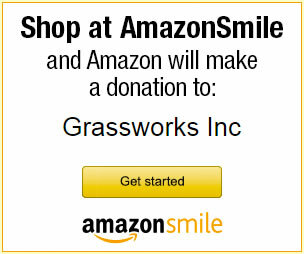 As a 501(c)3 non-profit organization, GrassWorks links farmers with the resources they need to be successful graziers. 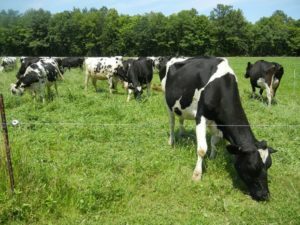 Managed Grazing is an economically and environmentally sound method of livestock agriculture. 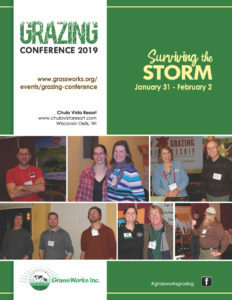 For nearly thirty years, managed grazing has been a foundation of the sustainable agriculture movement in the upper Midwest and we are proud of the role that GrassWorks has played in its development. We provide leadership, education and resources for grass-based farmers and regional organizations that support graziers. A great time was had by all who attended our 2018 Annual Picnic and Pasture Walk. A big thank you to the Cavadini Family who hosted the fantastic event at Cavern Point Farm in Marshfield, Wisconsin. 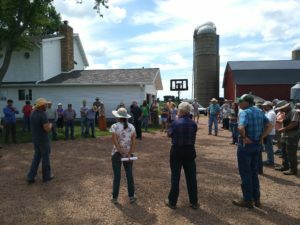 We started by touring near-by Marshfield Agricultural Research Station and learned how the practices of no-till planting, cover crops and managed grazing are used to protect soil and water in Central Wisconsin. At noon we enjoyed delicious picnic fare including grass-fed burgers and hotdogs provided by our co-sponsors, the Wisconsin Grassfed Beef Cooperative (WGBC). Bill Kolodziej, Marathon County grazing specialist helped to cover all things grazing: facility design, forage management, animal selection, and grass finishing during our walk in the Carvern Point Farm pastures. We are grateful for the hospitality of The Cavadini Family, Jason, Jocelyn, Timothy, Nathan, Silas, Micah, and Noelle. GrassWorks links you with the RESOURCES you need to be a successful grazier! Check out Pasture Walks in your area to gain first hand knowledge from experienced graziers. Order your Grazing Guide which explains the steps to successful grazing practices. Order your Pasture Stick to help you decide when the time is right to move your livestock. If you're hosting a grazing event in your area - please send us a copy to place on our Calendar of Events. Check back often to find out about local pasture walks, demonstrations, workshops or network conferences. EDUCATION is one of GrassWorks' greatest resources. In our continued efforts to bring you, producers and consumers, the most current information on Managed Grazing. Please take a moment to browse our site. We have many educational resources (fact sheets, grazing guides, pasture sticks and articles/book titles) for you to use in the management of your operation or share with your local agency personnel or policy makers. GrassWorks is a grassroots membership organization that provides leadership and education to farmers and consumers for the advancement of managed grass-based agriculture to benefit present and future generations. As a 501(c)3 non-profit organization, GrassWorks links farmers with the resources they need to be successful graziers. Copyright © Grass Works. All Rights Reserved.